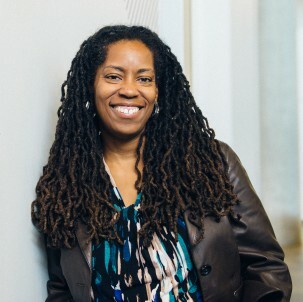 Nichole Pinkard is an Associate Professor in the School of Education and Social Policy at Northwestern University. She is the founder of Digital Youth Network, co-founder of Inquirium LLC and Remix Learning, home of iRemix, a social learning platform that connects youth’s learning opportunities in school, home, and beyond. In collaboration with the Chicago Public Library, Dr. Pinkard helped found YOUmedia, a public learning space that immerses high school students in a context of traditional media – books – to make and produce new media artifacts like music, games, videos, and virtual worlds. Dr. Pinkard is the recipient of a 2014 Northwestern Alumni Award, a 2010 Common Sense Media Award for Outstanding Commitment to Creativity and Youth, and the 2004 the Jan Hawkins Award for Early Career Contributions to Humanistic Research and Scholarship in Learning Technologies, an NSF Early CAREER Fellowship, and a grant from the John D. and Catherine T. MacArthur Foundation for research on how digital media affects literacy. She serves on the Advisory Board of the Joan Ganz Cooney Center and Institute of Play. She holds a B.S. in Computer Science from Stanford University, an M.S. in Computer Science and a Ph.D. in Learning Sciences from Northwestern University. Her current scholarly interests include the design and use of pedagogical-based social networks, new media literacy learning outcomes, ecological models of learning, digital badging, computational-making learning environments for underrepresented groups, and designing city-level learning ecologies. Martin, C.K., Nacu, D., Pinkard, N. (accepted). An approach to using log data to understand and support 21st century learning activity in K-12 blended learning environments. Journal of Learning Analytics, Special Section:Learning Analytics for 21st Century Competencies. Pinkard, N., Erete, S., Martin, C., & McKinney de Royston, M. (accepted). Digital Youth Divas: Exploring Narrative-driven Curriculum to Trigger Middle School Girls’ Interest in Computational Activities. Special Issue of Journal of Learning Sciences. Martin, C.K., Pinkard, N. (2016). Digital Youth Network entry in K. Peppler (Ed. ), The SAGE encyclopedia of out-of- school learning. New York: SAGE. Nacu, D., Pinkard, N., Martin, C & Gray, T (2013). A Framework to Support Analysis and Visualization of Learning in Online Social Networks. Special Issue of Learning, Media, and Technology. Pinkard, N. (2006). Examining Gender & Technology: A Formative Study of Students’ Computer Interests, Self-Image, and Software Preferences. Interactive Learning Environment. Pinkard, N. (2005). How the Perceived Masculinity and/or Femininity of Software Applications Influenced Students’ Software Preferences. Journal of Educational Computing Research, Volume 33 (No. 1).